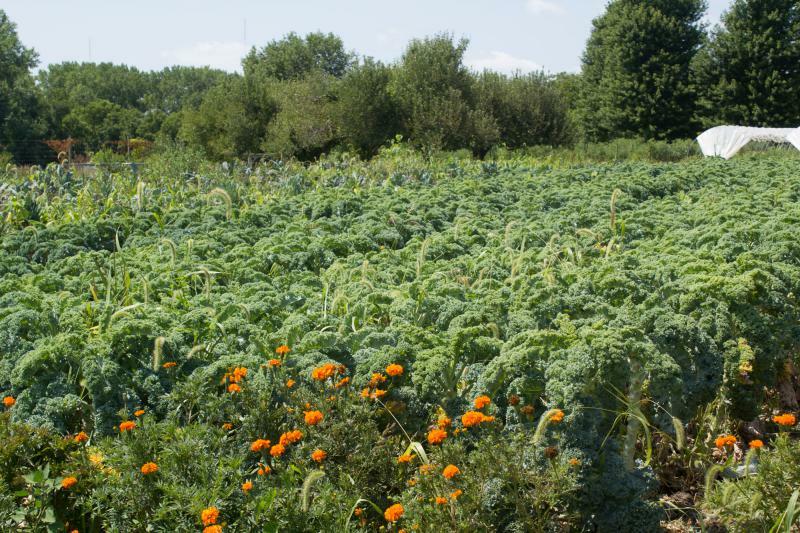 The 300 hens at Grade A Gardens in Johnston, Iowa help nurture the soil where they range. Tony Weir collects their eggs from nesting boxes on the outside of their movable coops. 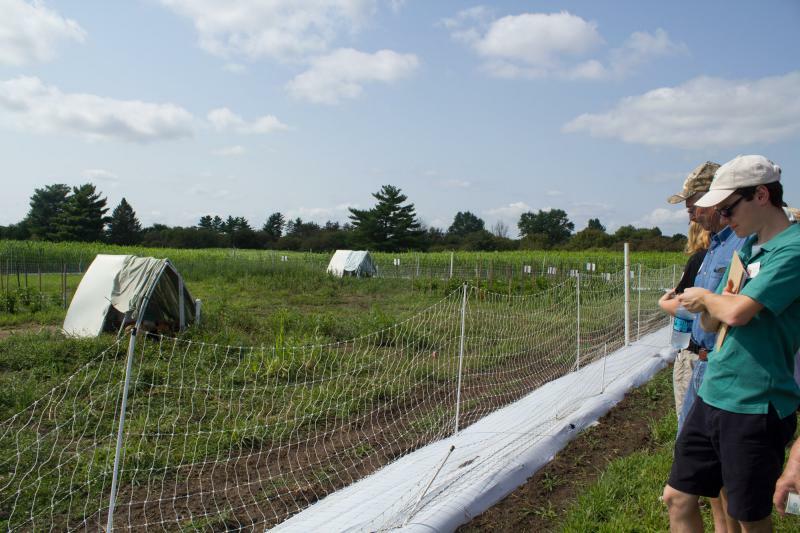 Harvest Public Media's Amy Mayer talks to organic farmers who rotate animals in their fields. 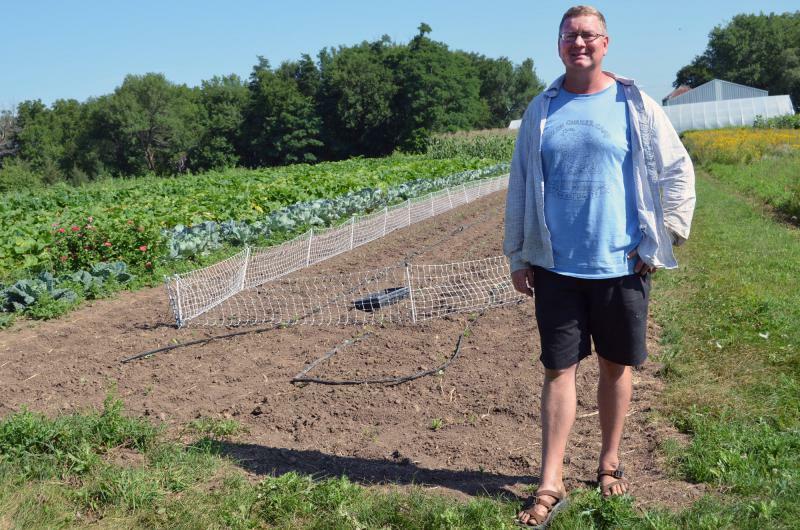 In eastern Iowa, Mark Quee manages the farm at the Scattergood Friends School and Farm, growing fruits and vegetables for the boarding-school students and staff. He also has a handful of cows and calves, some turkeys, pigs and a few sheep. 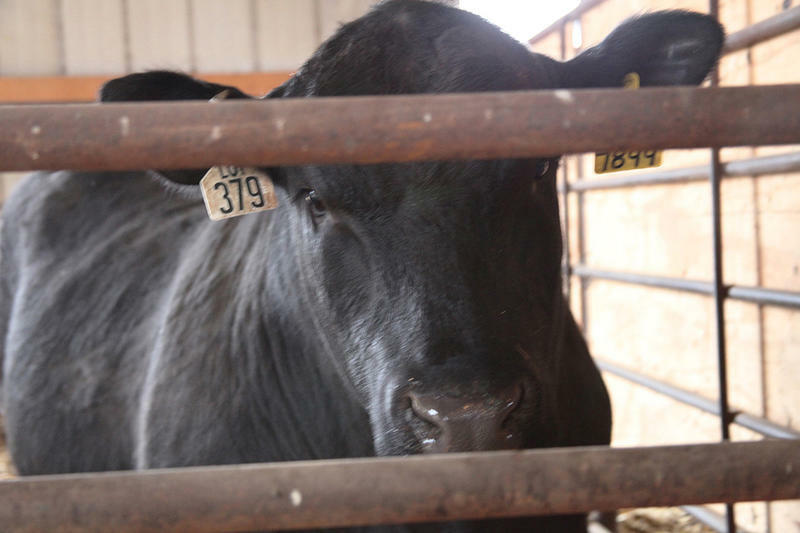 “We’re strongly committed to having livestock on our gardens as much as possible,” Quee said. That’s because they nurture the soil with their rooting, pecking, stomping and, yes, pooping. 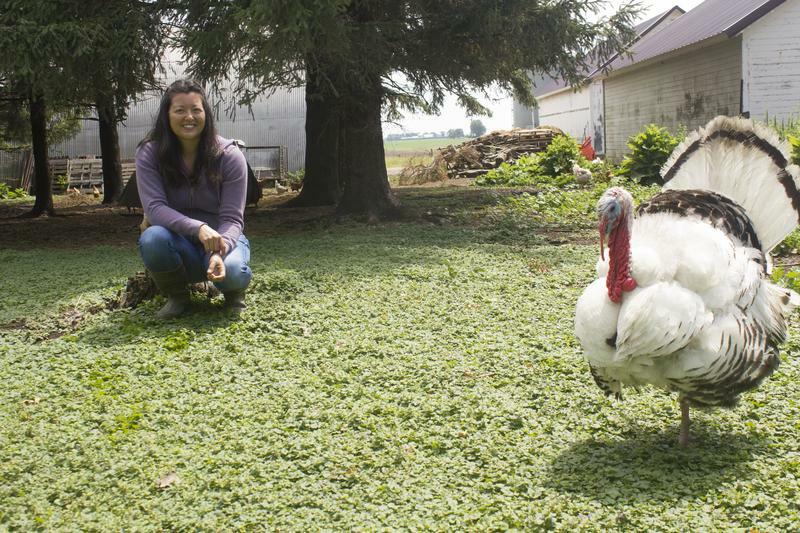 Quee’s seen firsthand how turkey manure increases soil nitrogen — a fact supported by commercial sales of composted turkey manure as an organic-approved fertilizer. But he’s been curious to know whether letting the sheep graze after he harvests a cash crop such as broccoli will improve next year’s crop. So with another farmer, and help from agricultural nonprofit Practical Farmers of Iowa, he set up a formal trial. The plots are quite small, and he sets up portable electric fencing to control where the sheep are allowed to graze. Last year, the trial only looked at broccoli, with the farmers measuring size and weight at harvest. The results, Quee said, were inconclusive. Ajay Nair has the same questions about the tangible benefits of grazing. 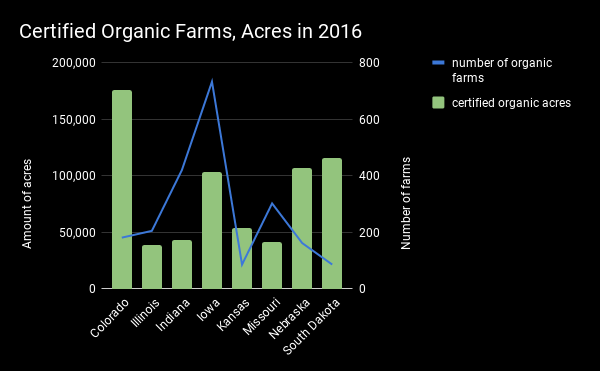 The Iowa State University horticulture professor and extension fruit and vegetable specialist hears from many organic farmers who want to try grazing because they think it will be beneficial but also want details on what to expect — both on the field and in their ledgers. 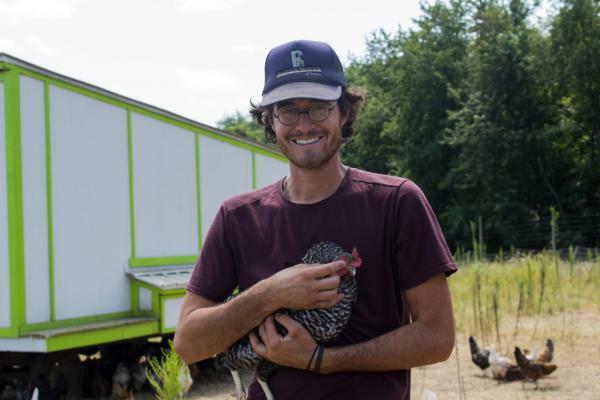 “Nobody could quantify, okay, if I have chickens what value does it bring in terms of adding organic matter to the soil? How does the nitrate content change?” Nair said. Using a small federal grant, Nair and a graduate student designed a study to see how a flock of broiler chickens would impact the soil. 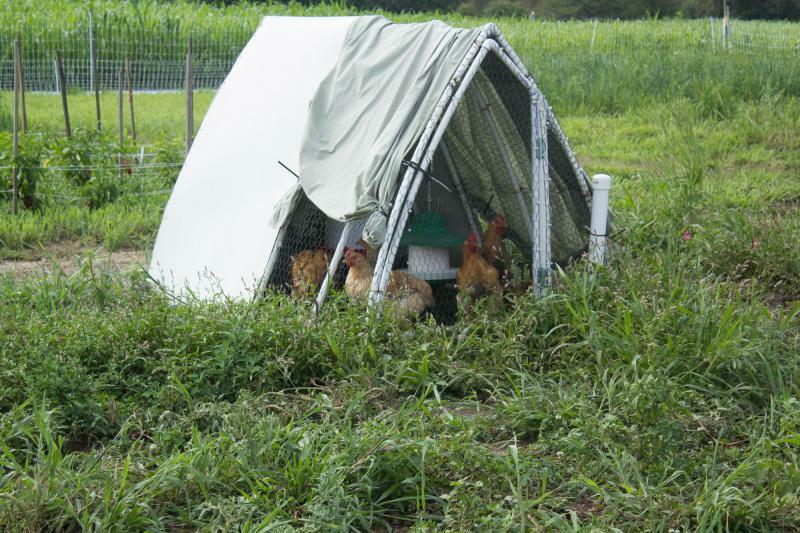 Last year, the chickens pecked and nibbled on a field that had grown broccoli from inside lightweight, portable coops that were moved around the test plot on a daily basis. This year, the researchers planted lettuce in areas that never had chickens and the ones that did. 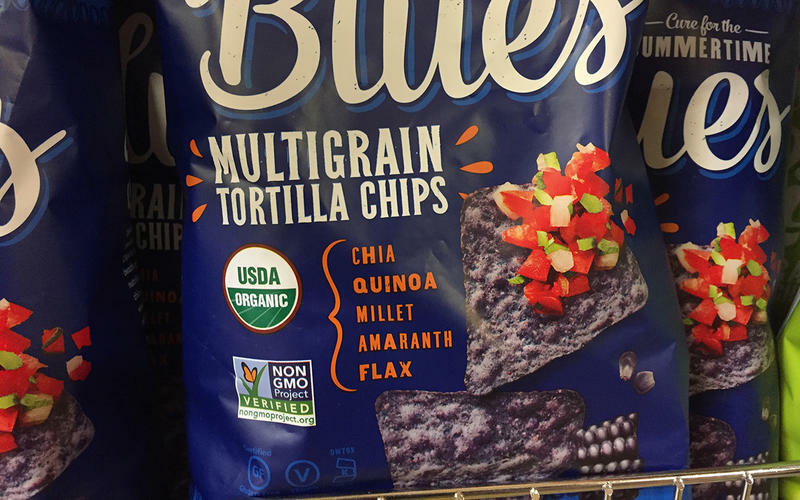 That’s good for several reasons: The soil is healthier, there’s less added nitrogen that could be lost to waterways and farmers could potentially save money on fertilizer. Nair cautioned his study is limited and he doesn’t have concrete numbers that could influence the cost-effectiveness of adding chickens to a farm. But he said he’s encouraged by the soil quality results, and hopes to address additional questions in a larger, longer project. At Grade A Gardens in the Des Moines suburb of Johnston, Jordan Clasen has all the evidence he needs. He has 300 egg-laying hens that he rotates through his fields, and their manure has drastically reduced his fertilizer budget. Clasen’s specialty is garlic; he grows tens of thousands of heads every year. In fields where the chickens have been, he said the next year’s garlic comes up darker and bigger. He credits the nitrogen in the soil from the chicken manure. Plus, he thinks pasture improves the quality of the hens’ eggs. Each week, Clasen uses a tractor to pull the two large coops to different spots so the manure doesn’t become too concentrated anywhere. Throughout the year, he rotates the chickens into different fields as the garlic is harvested. 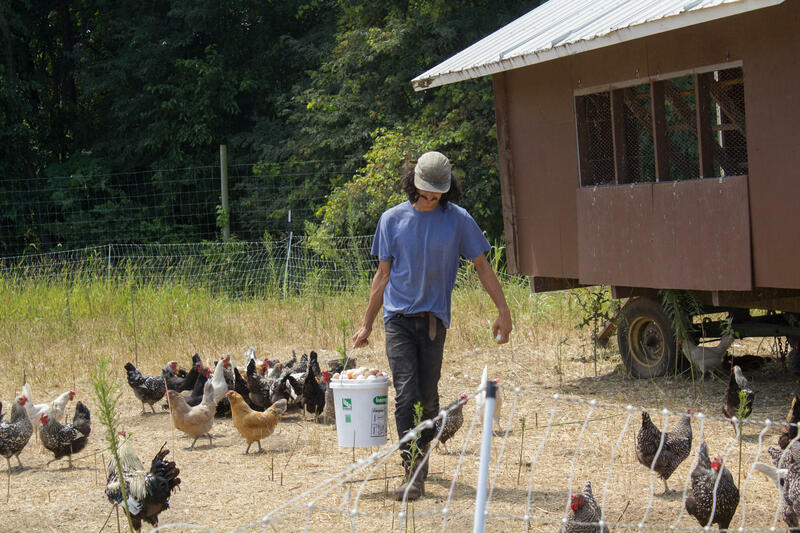 His community-supported agriculture (CSA) members provide a regular market for the eggs, which made the first 100 chickens work for his budget. Still, he needed a Kickstarter campaign to build the second coop. That may be an option for small farms with loyal customer bases, but it will take more number-crunching and a few more seasons of studying sheep and chickens before researchers can say whether, or how much, animals might ultimately help an organic farm’s bottom line. Iowa Public Radio’s Shirley Wang contributed to this report. Human-caused climate change will trigger more intense rain and more frequent heat waves in the Midwest, according to a recent climate assessment.